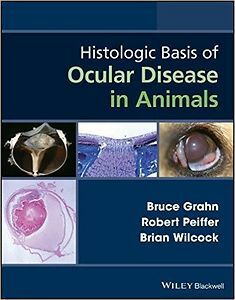 Histologic Basis of Ocular Disease in Animals is a comprehensive reference covering pathology of the eye in a spectrum of animal species, including domestic animals, fish, birds, and laboratory animals. With more than 1200 high-quality gross, subgross, and histological images carefully chosen to depict the ocular conditions discussed, the book provides a well-illustrated resource on ocular pathology. Focusing on pathology applicable to the eye in a variety of species, unique pathological responses are highlighted where appropriate. The book presents introductory chapters on handling and processing of ocular tissues and the general pathology of ocular disease. Subsequent chapters highlight the clinical, gross, and histopathologic details of ocular conditions by pathogenesis, tissue, and disease process. The breadth of material is enhanced by pertinent clinical perspectives and extensive references. 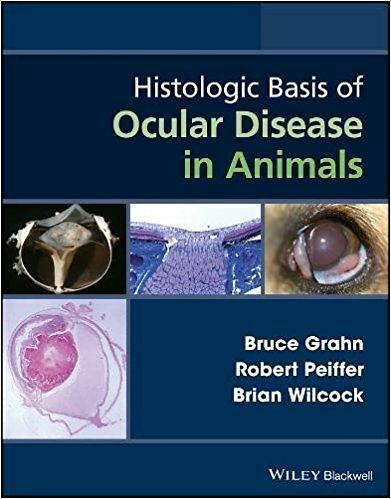 Histologic Basis of Ocular Disease in Animals is an essential reference for veterinary ophthalmologists, veterinary pathologists, and residents in these areas.